Looking for a new employee or employer? Post the specifics here. Live gem tutoring sessions focusing on fully explaining gemological concepts. An open, one-on-one, class-room environment. Free to all!! Please Let US Know What's Happening! Posts discussing the special lectures, events and social gatherings for the Tucson Shows in past years. Here is a central place to discuss special lectures, events and social gatherings for the upcoming Tucson Show. Included in this Category are lists of facilities with direct contact information. Please contact GemologyOnline Administration for additions or corrections. AGL is an independent, cutting edge lab providing identification reports, detailed enhancement reports, country-of-origin or provenance reports, as well as complete colored stone analysis documents tailored to gems of unique importance. In my opinion, this school is the greatest value on the planet for pursuing a rounded gemological education! Thomas Hainschwang's & Frank Notari's GGTL is on the cutting edge of international gemological research. GIA is providing cutting edge research articles on many current gemological topics. GWLAB™ is an independent gemological chain of laboratories, founded by Gemewizard® - a pioneer in the development of software solutions for colored stones, fancy colored diamonds and jewelry industries, enabling the analysis, description and communication of color in gems. Stone Group Laboratories, LLC, provides non-destructive, advanced gemological testing services to the trade and offers global consulting services as well as custom research projects regarding colored gemstones. The Swiss Gemmological Institute, SSEF, has made significant discoveries and developments in the world of gemmology since its founding in 1974. The World Gem Foundation is a non-profit international organization that is dedicated to the preservation, promotion and study of gemmology through their comprehensive range of theoretical and practical gemmological courses and programs. A section for Professional Appraisers and Valuers to discuss relevant topics. DO NOT POST JEWELRY OR GEMS NEEDING AN APPRAISAL. For those who are new to gemology. Just getting started in the industry and have a question about the basics? No question is too small to answer. All posts related to Colored Stones. Stump the experts! For fun and occasionally profit! Have a gem you need help identifying? Post it here, provided you can give us more information than just a picture: RI, SG, Optic Character, Pleochroism, etc. Have something to say about diamonds? A discussion of localities for gem prospecting open to the general public. 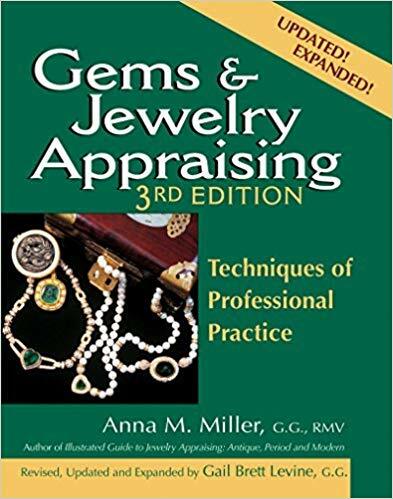 Discussions and reviews of the computer software programs available for gemology and appraisal documentation. Read any interesting or controversial gem related articles recently? Discuss them here! A free gemological encyclopedia that anyone can edit! Diagnostic Clues: How the pros separate gems whose properties overlap to the point of utter confusion! Anything related to Stone Cutting, faceting, cabbing and carving! 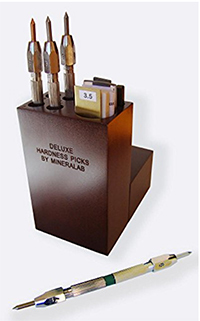 Discussion of advanced microscopic and related instruments which may (or may not) have a gemological application. Topics include pearls, amber, jet, coral, ivory, etc. 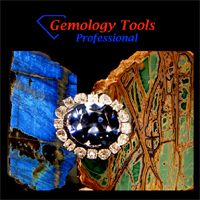 This section includes Mineralogy, Travel and General Science associated with Gemology. Vintage and Antique examples of jewellery (or jewelry) and Object D'Art which contain gemstones, for discussion and general interest. Gemological discussions about products offered on eBay and other online sources. A place to post detours, digressions and ponderings which have either moved away from their original topics or never really belonged there. Buy and Sell Gem and Lapidary References here. Show & Tell, Questions and Comments on Natural Wonders. This is the repository for all varieties of glass industrial waste. What are your particular passions? Give us an insight into what makes you tick! Details and descriptions of gem and jewelry related scams. BEWARE!